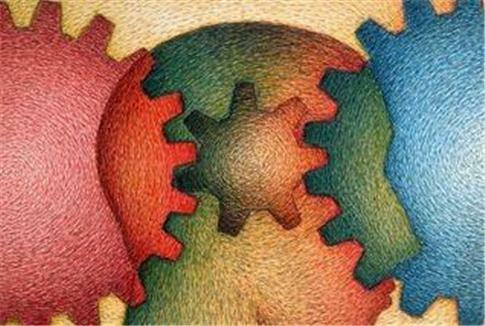 Psychology degrees can open up opportunities to a variety of careers in a variety of settings. Considering the fact that psychology is not a one-size-fits-all discipline, you will be able to choose from several different professions with your Psychology degree once you graduate. Choosing the right specialty is extremely important when you are pursuing a career in Psychology, but you must also select the right type of program. Psychology students can choose from traditional on-campus courses and modern online degree programs, while there are advantages, online programs are definitely not for everyone. Before you enroll in an online Psychology degree program, here are some of the disadvantages that you must keep in mind. The advancement of distance education technologies have changed the way that colleges and universities can provide students with information, but this advancement does have its disadvantages in some fields. When you are studying Psychology, networking is extremely important to get through school and also to make it in the field once you graduate. While you can communicate through messaging applications and discussion boards when you take an online program, you cannot make the connections that could make a difference later in your career. If socialization is important to you, and you prefer face-to-face communications, an online degree is not the right option for you. How Will Future Employers Perceive Your Online Psychology Degree? There are accredited online degree programs and there are programs that are not regionally accredited or accredited at a programmatic level. When you are selecting a degree program, you should be sure to choose a program that is recognized by the American Psychological Association and other associations in the specialization. Even distance education programs in Psychology that are accredited are not always perceived as highly as a traditional degree would be. Because Psychology is research-based and scientific in nature, most employers prefer to hire individuals to their team that have attended a traditional school rather than an online school. Please keep in mind that you can still earn your licensure if you complete an accredited program online. Some instruction can be completed online, but when you are studying clinical psychology there is no way to complete the entire program online. The curriculum plan can be very confusing when you are attending an online school because you cannot sit down and discuss the path that you are going to take with a counselor. In most cases, you must still attend a clinical session and complete an internship. This can affect your schedule if you are taking an online degree program for flexibility. Online degree programs are not for everyone, and they are not for every degree type. You need to take time to research the professional licensing requirements for psychologists in your state and choose the right program that will prepare you for the field. Once you do this, choose a specialty and show how much of an asset you are.